Have a question about the program and how it will impact you? See below for a list of frequently asked questions and answers. If you still don’t see what you’re looking for, please feel free to contact the City’s program consultants for customer support. What is the Worcester Community Choice Aggregation? The Worcester Community Choice Aggregation is a municipal electricity aggregation, a form of group electricity purchasing. Your municipal government can sign a contract with an electricity supplier on your behalf. This third option is municipal electricity aggregation, and this is what the Worcester Community Choice Aggregation is. A municipal electricity aggregation, such as the Worcester Community Choice Aggregation, is a group purchasing program for electricity. In an aggregation, the City uses the bulk purchasing power of the entire community to select an electricity supplier and to negotiate both the amount of renewable energy in the electricity and the price. If you participate in the program, National Grid will continue to deliver your electricity, but the company chosen by the City will appear on your National Grid bill as your electricity supplier. Also, the price that the City negotiates will be used to calculate the charges on your National Grid electricity bill. The Worcester Community Choice Aggregation will provide an alternative both to National Grid’s Basic Service pricing and to other electricity supply offers in the marketplace. The price used to calculate the Supply Services portion of your National Grid electricity bill will change from the Basic Service price to the program price. Otherwise, everything else will remain the same. You will continue to receive your bill from National Grid, you will continue to pay National Grid, and you will continue to call National Grid if your power goes out. If you are eligible for any discounts from National Grid, those will be unaffected by your participation in this program. Why is Worcester launching this program? The primary goals of Worcester Community Choice Aggregation are to move Worcester toward sustainability goals while providing a City-vetted alternative to electricity supply offers in the marketplace with stable pricing and consumer protections. Through Worcester Power Choice, the City can integrate additional renewable energy into the City’s electricity supply above the state required minimum and also support energy efficiency efforts, because the cleanest energy is the energy that is not used. The City will decide which (or both) strategy to use once the state regulatory approval process is completed, which can take up to one year. Why is a stable electricity supply price so important? Having a stable price for the supply services portion of your National Grid electricity bill can protect you from the seasonal price increases that occur when you have National Grid’s Basic Service, meaning National Grid is your electricity supplier. The price that is used to calculate the supply services portion of your National Grid electricity bill changes every 6 months for residential and small business customers, and it changes more frequently for larger commercial customers. Having a stable price for the supply services portion of your National Grid electricity bill can also provide a predictable alternative to the variable prices offered by some commercial electricity supply offers. Some commercial electricity supply offers will provide a stable price for a few months, but then the price will vary monthly. The Worcester Community Choice Aggregation price will be fixed for longer than 6 months, and when it changes, the City will announce the new price publicly before it takes effect. Savings cannot be guaranteed compared to National Grid’s Basic Service price. Will participants in National Grid's Smart Energy Solutions pilot program be able to participate in Worcester Community Choice? Yes, participants in the Smart Energy Solutions pilot will participate in Worcester Community Choice on the same terms, and at the same price, as other customers. In the past, National Grid provided a special Basic Service price for Smart Energy Solutions pilot customers. Pilot customers received a price that varied according to the time of day (known as “variable” pricing) rather than a price that is the same in all hours of the day (known as “flat” pricing). However, starting in January of 2019, pilot customers were returned to a flat Basic Service price. Assuming no change in the Smart Energy Solutions pilot, all aggregation participants (both pilot customers and non-pilot customers) will receive a flat price. If National Grid resumes variable pricing for the pilot, the City will work with National Grid to incorporate variable pricing into the Worcester Community Choice program. What is the difference between National Grid and an electricity supplier? National Grid is Worcester’s electric utility. In Massachusetts, electric utilities are fundamentally electricity delivery companies. They do not generate electricity. That means National Grid is responsible for delivering electricity to you, for maintaining the poles and wires, and for addressing power outages. National Grid charges you for these services on the delivery portion of your electricity bill. Electric utilities have geographic monopolies. We have no choice in determining our electric utility. Our electric utility is determined by where we live in Massachusetts. For most electricity customers, their utility is also their electricity supplier. When they are your supplier (i.e., when you have National Grid’s Basic Service), your electricity bill will indicate that is the case. You may also choose your own electricity supplier. If you do, the name of that company will appear on your National Grid electricity bill as your electricity supplier, and the rate you negotiated with them will be used to calculate the supply services charges on your bill. With the Worcester Community Choice Aggregation, the City will choose an electricity supplier on your behalf. The name of that company will appear on your National Grid electricity bill as your electricity supplier, and the rate the City has negotiated with them will be used to calculate the supply services portion of your bill. What is the minimum amount of renewable electricity required by Massachusetts state law? The minimum amount increases every year. For 2019, Massachusetts state law requires that 14% of your electricity comes from newer renewable energy projects in New England (Massachusetts Class I RECs). In addition, state law requires the inclusion of a minimum amount of renewable energy from older renewable energy projects in New England (Massachusetts Class I RECs), as well as from some alternative energy sources that are considered highly efficient but not renewable. The Worcester Community Choice Aggregation will send out one letter about the program just before program launch. That letter will include the City seal. If the letter you received does not include the City seal, it is not from the City and does not represent the City program. Please note that if National Grid is your electricity supplier and you receive a letter about the program in the mail, you will be automatically enrolled in the program unless you choose to opt out. You do not need to provide additional information to participate. Any person or company who asks for additional information when they market their program to you does not represent the Worcester Community Choice Aggregation. You should treat your National Grid electricity account number like you treat your credit card information. Do not give it out unless you want to purchase your electricity from someone else. Does this program replace National Grid as my electric utility? No. National Grid will remain the electric utility for Worcester and will continue to deliver your electricity, and your primary relationship for electricity will remain with National Grid. The Worcester Community Choice Aggregation will change the supplier on your National Grid electricity bill, and it will change the rate that is used to calculate the supply services portion of your National Grid electricity bill. But your electricity bill will continue to come from National Grid, and National Grid will continue to be your electric utility. We do not yet know the prices for the different options in the program. The prices will be determined when the City signs a contract with an electricity supplier. That will occur after the state regulatory review and approval process for the Worcester Community Choice Aggregation has been completed. Please note that savings cannot be guaranteed compared to National Grid’s Basic Service price. Yes. If you are a National Grid Basic Service customer, you will receive a letter in the mail with program information, including pricing, before the program launches. The program website will also be updated to include pricing information, and the City will make public presentations about the program before program launch. Note that although at that point you will know the program pricing, you cannot know the National grid Basic Service price beyond the 6-month period for which National Grid purchases Basic Service Supply. The program itself will last as long as the contract for electricity supply that the City enters into. The City will evaluate the bids that it receives from electricity suppliers and will select the contract duration that provides the best value for electricity customers. At this point, the duration of the initial electricity supply contract is not yet known. Although the program will last for as long as the City decides, you can leave the program with no fee at any time and go back to National Grid’s Basic Service. Households and businesses on National Grid Basic Service will be automatically enrolled in the program. If you have your own contract with an electricity supplier at the time of program launch (in other words, if you are not on National Grid’s Basic Service), you will not be automatically enrolled in the program. However, you will be able to opt in to the program. Information about how to opt in will be made available closer to program launch. No. Participation is not required. There is no penalty for opting out. You may do so at any time. You may opt out of the program before being enrolled, and you may opt out any time after enrollment. If you opt out, the supply services portion of your electricity bill will remain on National Grid’s Basic Service rate. Information about how to opt out will be made available closer to program launch. Before you decide whether or not to participate, you will know the price and renewable electricity content of each Worcester Community Choice Aggregation option, including the standard option. Yes. If you have already chosen an electricity supplier, you will not automatically be enrolled, but you can opt in to the program. Information about how to opt in will be made available closer to program launch. Call National Grid if your power goes out, as always. National Grid will continue to deliver your electricity and maintain the polls and wires, and will remain responsible for addressing power outages. Will I receive a second electricity bill? No. National Grid will continue to bill you for your electricity, and this is the only electricity bill you will receive as a participant in the program. Will National Grid provide me with a lower quality of service because I participate in this program? No. National Grid’s quality of service to you will be unaffected by your participation in the Worcester Community Choice Aggregation. National Grid does not profit from the supply charges on your electric bill. They make their profit from delivery charges. As a result, they have no preference whether they choose your supplier or Worcester does. What if National Grid's price falls below the program price? 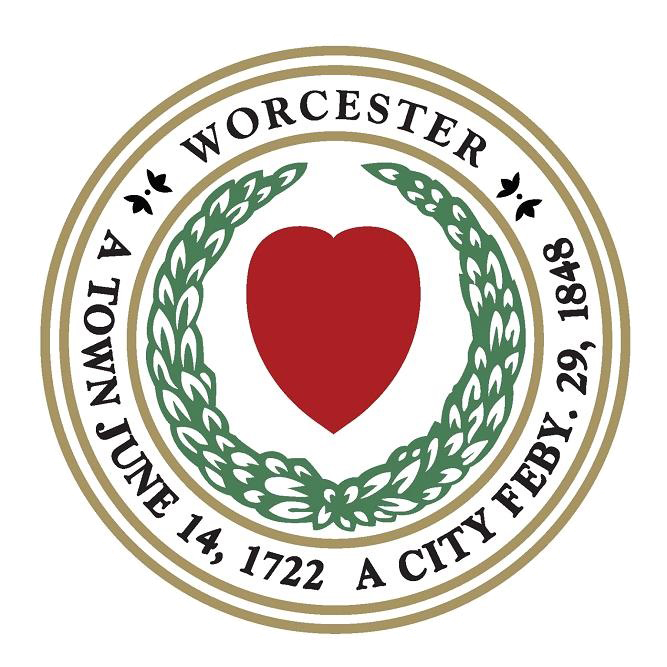 The Worcester Community Choice Aggregation price will be fixed for the duration of the contract that the City enters into. However, National Grid’s Basic Service prices change every 6 months for residential and small business customers, and every 3 months for medium and large business customers. As a result, it is likely that for some months, the National Grid price will fall below the price of the Worcester Community Choice Aggregation. The program cannot guarantee that it will beat National Grid’s Basic Service price at all times. The program goal is to beat the average of the changing National Grid prices, although there is no guarantee that it will do so. Opting up to 100% renewable electricity will likely cost more than National Grid’s Basic Service. There will also be an option to participate in the program without purchasing any renewable energy above the amount required by state law. Remember that you are free to leave the program at any time and return to National Grid’s Basic Service. However, if you opt out of the program and want to rejoin during the same electricity supply contract, you will not be guaranteed the program price. I am currently eligible for the low-income discount from National Grid. Will this change? No. If you are eligible for a low-income discount from National Grid, it will be unaffected by your participation in the program. I have budget billing from National Grid. Will this change? No. Budget billing is a service from National Grid in which your bill is the same amount every month, regardless of how much electricity you use. If you join the Worcester Community Choice Aggregation program, budget billing will continue to apply. Yes. Net metering will work the same way if you participate in the program. Your net metering credits from your solar panels will continue to appear on your National Grid bill and will continue to be calculated based on National Grid’s Basic Service price, not the program price. Is Worcester the only community in Massachusetts implementing this kind of program? No. Municipal electricity aggregation has been building momentum across Massachusetts. Worcester will join more than 125 other Massachusetts communities that already have aggregations. Recently, these communities have been implementing “green” aggregations like the Worcester program, which increase the amount of renewable electricity in the community’s electricity supply beyond the minimum amount that National Grid is required by state law to purchase.